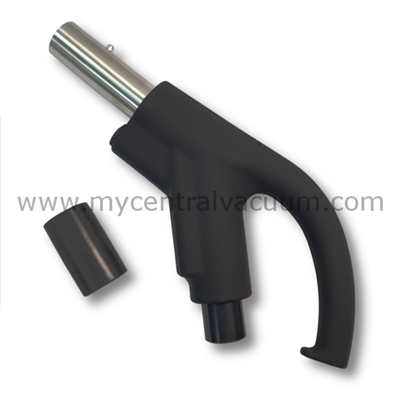 Ready Grip Handle without RF On/Off Switching for Hide-a-Hose. The Hide-a-Hose Ready Grip handle is designed for maximum ergonomic comfort, and with a soft touch finish for your vacuuming enjoyment. It also features a quick-connect button lock for a fast and secure connection with compatible wands. 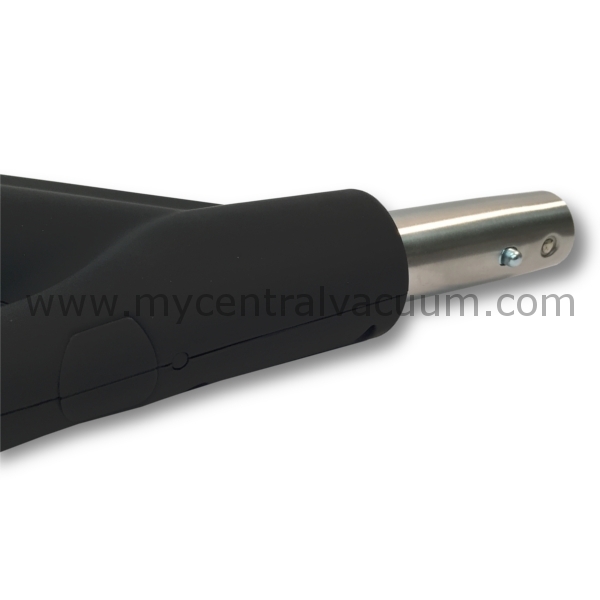 Please note: When utilizing this handle, your vacuum system is turned on and off using the low-voltage switch at the wall inlet: this handle does not have RF on/off switching built in. SmartSoc Hose for Hide-a-Hose Systems. 30-Foot Length. TurboCat Air-Driven Power Brush in Black or Gray. By Vacuflo. SmartSoc Hose for Older Hide-a-Hose Systems. 50-Foot Length. Valve Rough-In Kit for Hide-a-Hose HS5000 Valves. Valve Rough-In Kit for Older Hide-a-Hose Systems. Ready Grip Handle Kit with RF On-Off Switch System for Hide-a-Hose. TurboCat Zoom Air-Driven Power Brush in Platinum or Sapphire. By Vacuflo. SmartSoc Hose for Older Hide-a-Hose Systems. 40-Foot Length.